As winter drags on for the fifth month here in Montreal, it’s become just that: a drag. 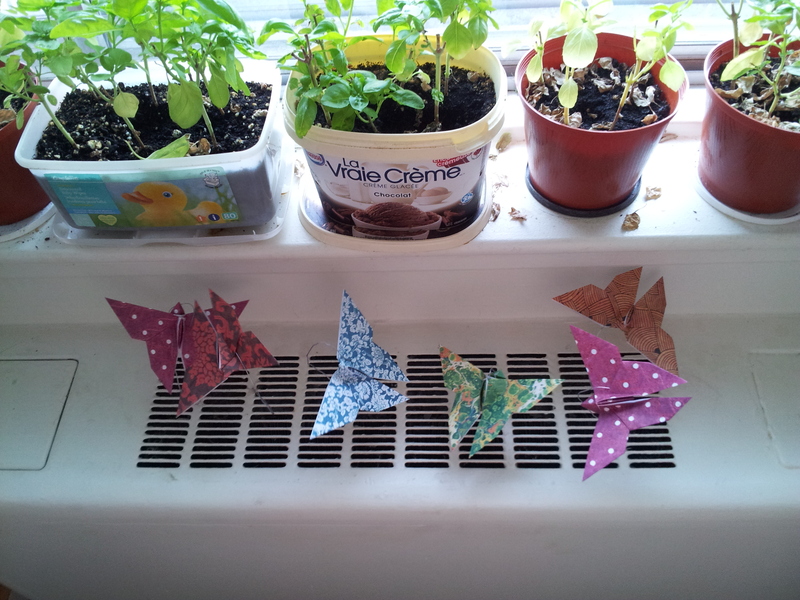 But after browsing Instructables I found a cute idea of putting paper butterflies over the radiator so that when the heat turns on, they flutter. The original instructable just had cut-out butterflies. 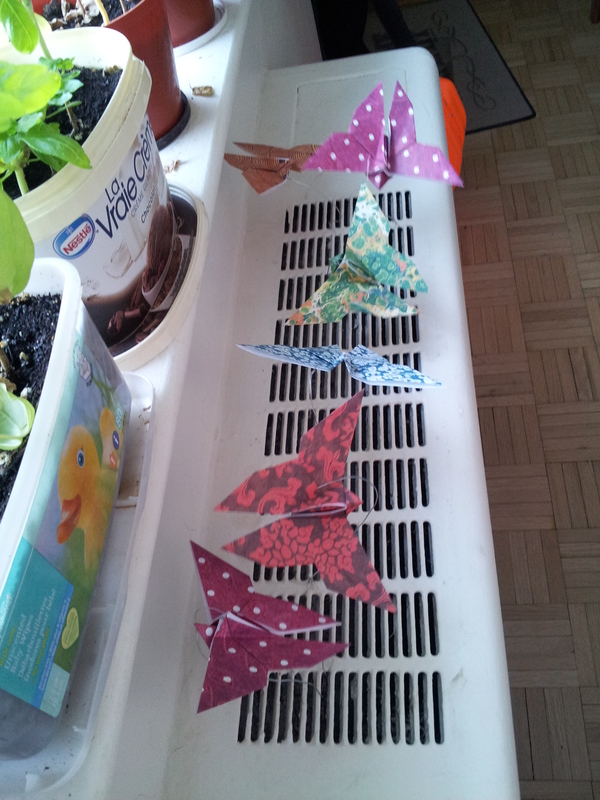 But I happen to be origami-capable so I decided to do a Yoshizawa butterfly. Next Next post: Aliens Modelling Human Clothes?